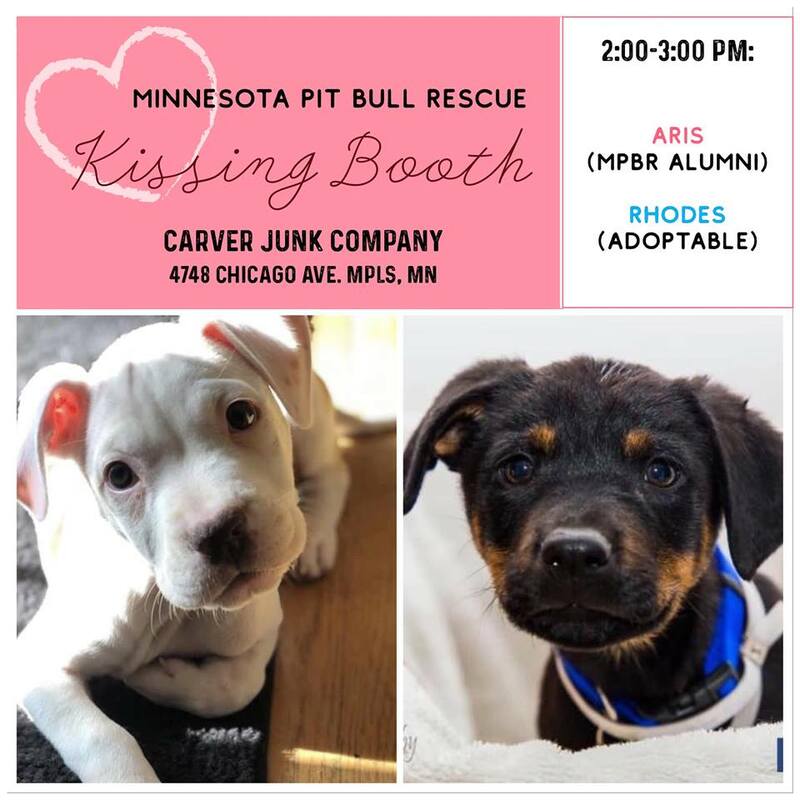 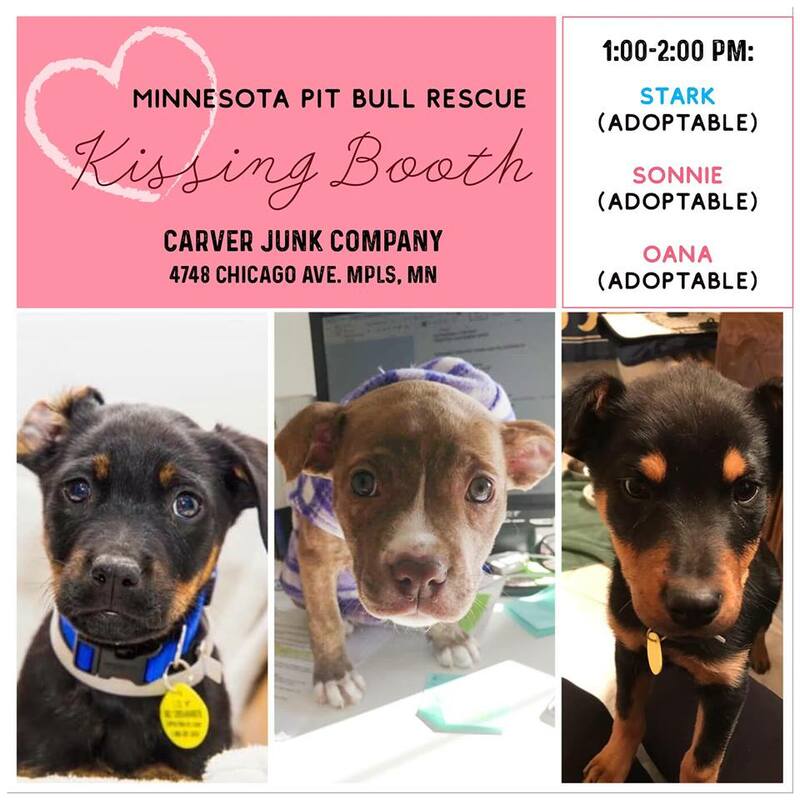 MN Pit Bull Rescue: 2.8.19 Upcoming Event-Kissing Booth! 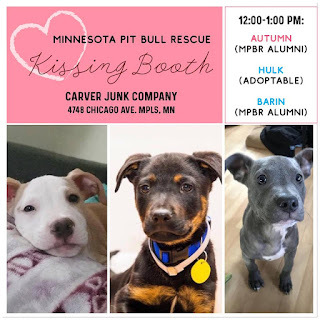 We are so excited for this Sunday, the 10th! 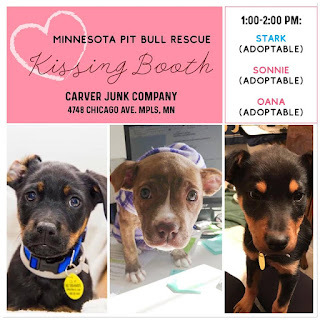 Please join us at Carver Junk Company Minneapolis for our annual Kissing Booth! New dogs every hour! 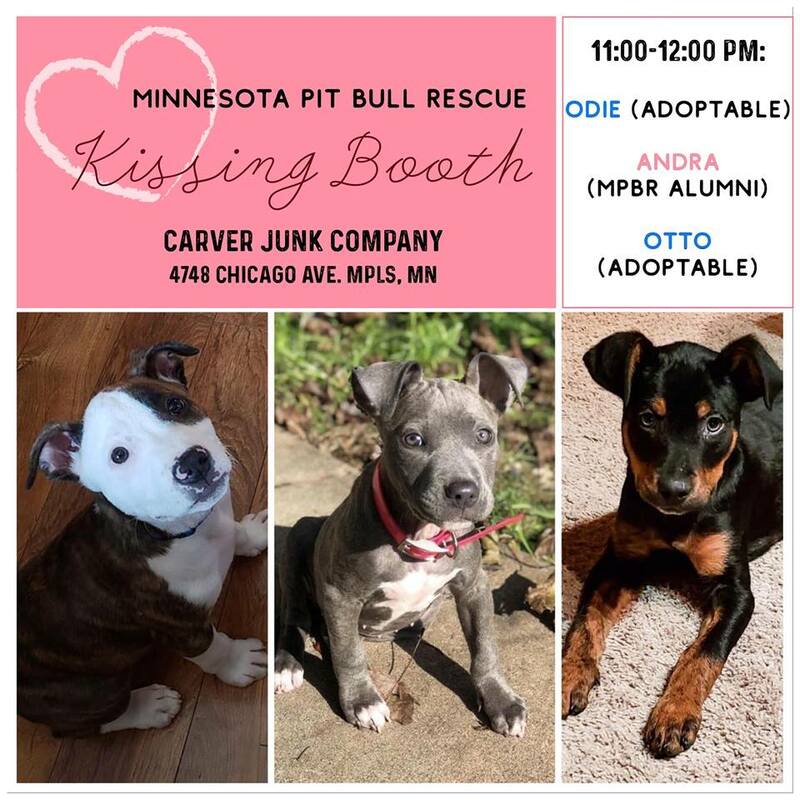 Who are you excited to meet?